The Austin Spurs, the 2018 NBA G League champions, will join the reigning title holders of the Basketball Champions League, AEK (Greece), and of the DIRECTV Liga de las Americas, San Lorenzo de Almagro (Argentina), at the FIBA Intercontinental Cup in Rio de Janeiro, Brazil, from February 15-17. They will be joined by tournament hosts Flamengo, who are the last Brazilian team to win the DIRECTV Liga de las Americas and FIBA Intercontinental Cup in the same year (in 2014) and are five-time champions of Novo Basquete Brazil (NBB). The competition will take place at Carioca 1 Arena, the iconic venue that hosted the Olympic Basketball Tournament during the Rio 2016 Games. It will be played in a Final Four format, with two Semi-Finals on February 15, followed by a 3rd-Place Game and Final two days later. This is the first-ever edition of the FIBA Intercontinental Cup to feature the reigning champions of the NBA G League, Basketball Champions League and DIRECTV Liga de las Americas. FIBA Secretary General Andreas Zagklis said: "We're excited to bring the FIBA Intercontinental Cup back to the Americas and hold this edition in Rio's excellent Olympic basketball venue, which was the site of so many great moments during the 2016 Games. The champions of the DIRECTV Liga de las Americas and of the Basketball Champions League will do battle here and look to create their own lasting memories. I also wish to express our gratitude to the city of Rio, the Brazilian Basketball Federation (CBB), the Liga Nacional de Basquete (LNB) and the host club Flamengo for their collaboration." "This year we are thrilled to confirm the growing global field of teams that will compete at next month's FIBA InterContinental Cup. 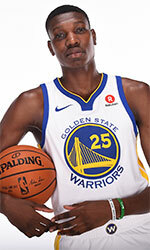 The addition of the NBA G League champions to the FIBA Intercontinental Cup is further proof of the great collaboration that FIBA enjoys with the NBA across a wide range of joint initiatives." 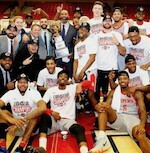 NBA Deputy Commissioner Mark Tatum said: "Having the NBA G League's Austin Spurs play in the FIBA Intercontinental Cup represents a fantastic opportunity - not only for the players to further showcase their NBA-caliber skills, but for the league itself to be represented on the international stage. "We're looking so forward to the event in February and thank our partners at FIBA for this first-of-its-kind collaboration." The last FIBA Intercontinental Cup, held in San Cristobal de la Laguna, Tenerife, in September 2017, saw Basketball Champions League winners Iberostar Tenerife (Spain) take a hard-fought 76-71 win over DIRECTV Liga de las Americas champions Guaros de Lara (Venezuela).